The ability for flying fish to escape their watery world and master true airborne flight is an incredible feat of evolutionary design. Getting into the air is one thing - if fact almost all fish can jump - but maintaining long periods of powered flight while unable to breath effectively in the air is truly outstanding. So, how long can a flying fish fly for? In May 2008, a Japanese television crew were filming flying fish off the coast of Yakushima Island, Japan. During one piece of film they managed to time a flying fish. The creature spent 45 seconds in flight. The previous record was 42 seconds. 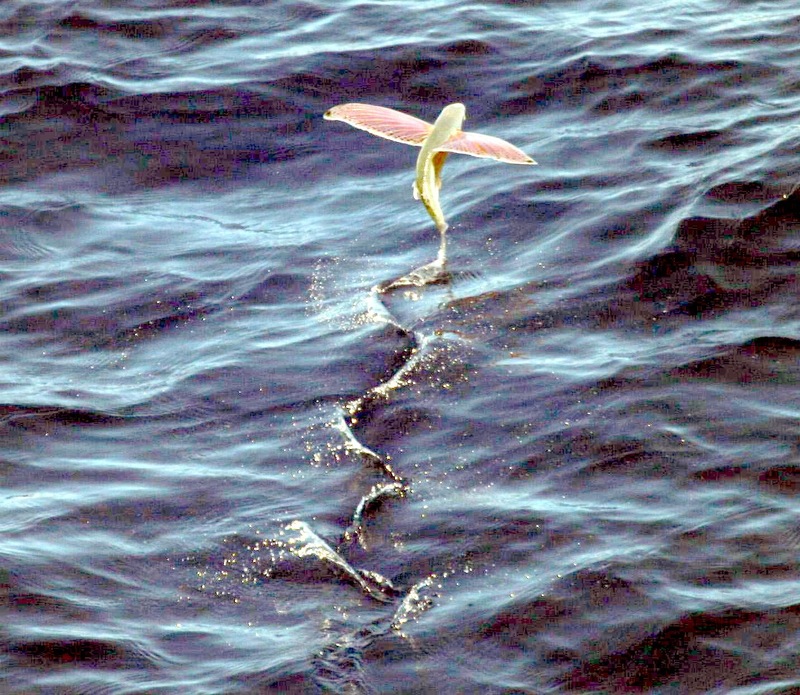 Flying fish can use up-drafts at the leading edge of waves to cover distances of at least 400 m (1,300 ft). They can travel at speeds of more than 70 kilometres per hour (43 mph). Maximum altitude is 6 m (20 ft) above the surface of the sea. Some accounts have even had them them landing on ships' decks! With a name like 'flying fish' it would be reasonable to expect that this specialist group of fish from the Exocoetidae family can actually actually achieve what their name implies. But how can that possibly be true? They are of course fish and therefore surely they are designed to swim - not fly? WHAT IS THE WORLD'S MOST POISONOUS FISH?